· Wireless system for regulation control. 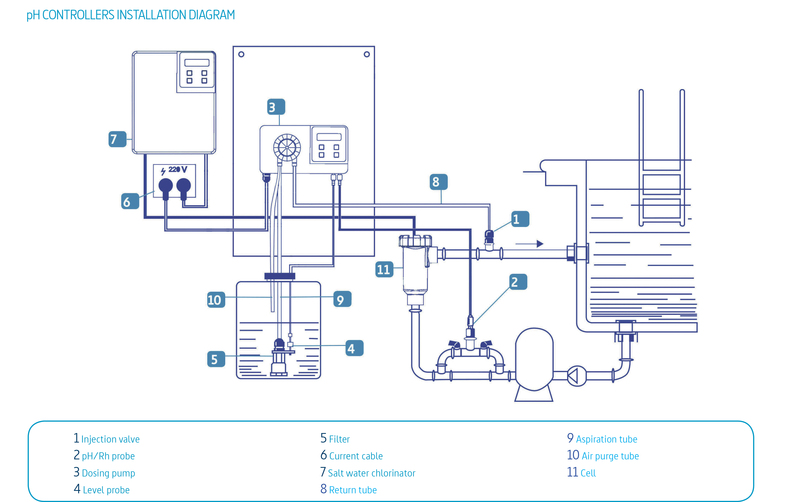 · ON/OFF control output to operate the Salt Water Chlorinator. 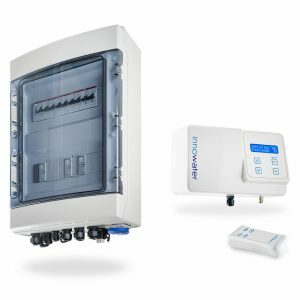 · Direct connection to the Salt Water Chlorinator power supply. 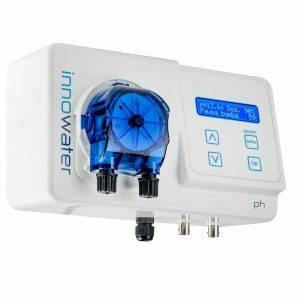 · Mesh filter to protect the pH and chlorine sensors. 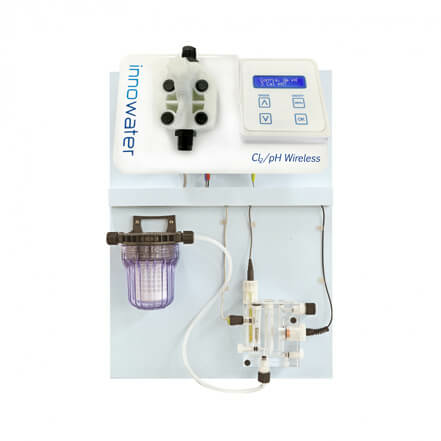 · With amperometric sensor for direct chlorine measurement in mg/L (ppm). · Copper-platinum electrode (organic-inorganic free chlorine). · Measurement range: from 0 to 14 (pH) and 0 to 10 mg/L (ppm). · Polypropylene box. IP-65 protection. · Dimensions: 92 x 180 x 160 mm. · Power supply: 230 Vac ±10%. · Temperature: 5 to 60ºC.